Why is the difference between 005 and 006 versions of MOD13Q1 data? I tried to repeat a project that used EVI in MOD13Q1. I failed and found that the project used the 005 version of MOD13Q1, and I can only download the 006 version on NASA's ftp. I compared the 005 and 006 versions of the MOD13Q1 EVI. (Other websites keep some of the 005 version data.) The difference in values at some points is small, while others are large, why? How should I use some emprical formula in such case? In general you are encouraged to switch to the latest collection 6. Probably for most pixels the difference between the Collection 5 and Collection 6 data should be small, so empirical formulas developed for the Collection 5 are expected to keep working with the Collection 6 data. While Earth Observing System data centers have switched to generating Collection 6 products, some direct broadcast centers are still running Collection 5 executables. 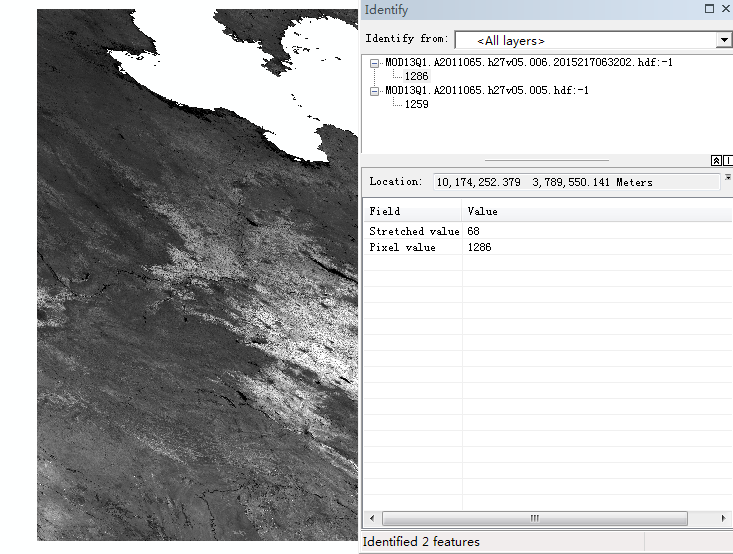 A comment on this post links to the Collection 6 MODIS Vegetation Index User's Guide. The Guide describes the differences introduced in Collection 6. One of the differences deals with the pixels with high blue content such as snow, cloud or aerosol polluted pixels. Since MODIS blue channel saturates quickly the 3-band EVI algorithm was prone to errors. Collection 6 introduces a robust EVI backup algorithm that uses only NIR and Red data and therefore is not affected by the blue channel limitations. If your empirical formulas were trained on data that might be affected by the blue channel issues you might want to re-evaluate the formulas on Collection 6 data. Otherwise you should be safe using the new data since most pixels are unaffected. Since your example tile covers areas with high level of near surface air pollution, it might be interesting to evaluate the differences in more detail. Such an assessment would make a complete answer to your question. Not the answer you're looking for? Browse other questions tagged raster modis evi or ask your own question. Difference between gdal versions in reading raster on two machines? What does MODIS data reflectance values (MOD13Q1) mean? Difference between raster() and readGDAL()?